Totally gorgeous. You have such a keen eye for details and great creativity. I love this tutorial and found it so helpful. 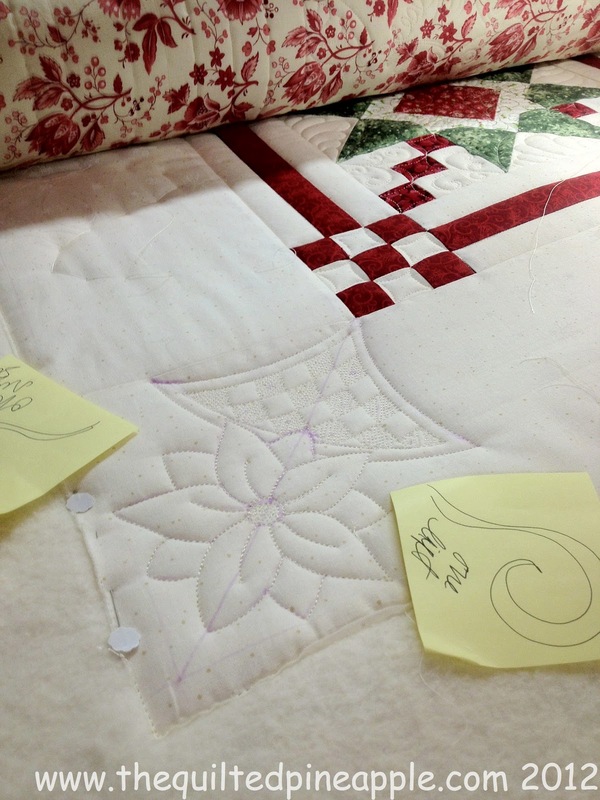 I hope you will show us the entire quilt when it is off the frame. I notice you stitch across the bottom and sides of the quilt. Can you tell me more about that, how and why? Thanks. This is a great tutorial! I don't do much machine quilting (as that is a bit scary), but it was certainly nice to see how you did this!! Thank you for sharing. 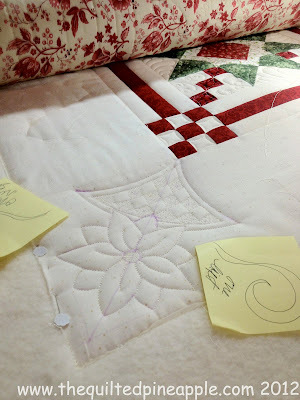 It is always interesting to see how other quilters work. I too take photos and write notes for myself. Lindo!Rolei e vi as penas lindas também,parabéns.beijo. That is just gorgeous. I just love it. 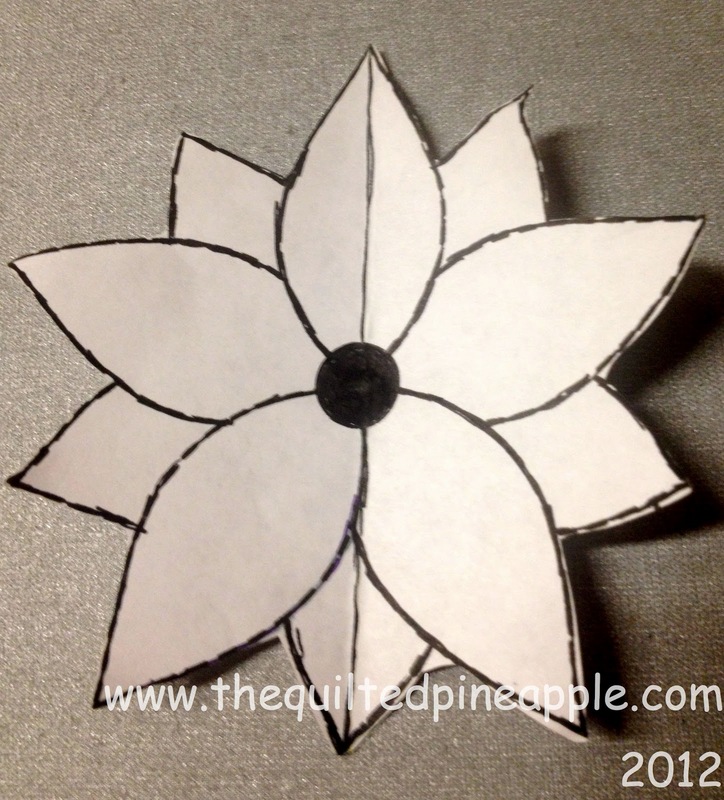 I will have to try doing a stencil. I haven't done that yet. Do you have any trouble getting the air erasable pen off? What kind do you use? WOW!! Thanks you for sharing your talent! Incredible! 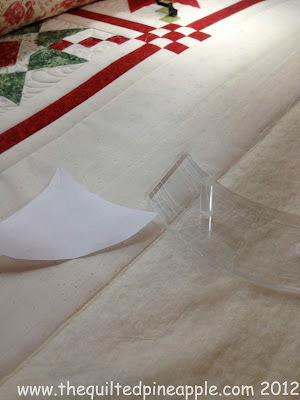 I always wondered HOW quilters did something like this! Thanks so much for posting this! P.S. Love how it looks - great, great job! Thanks! I would have never thought to put the template under the fabice like that.. 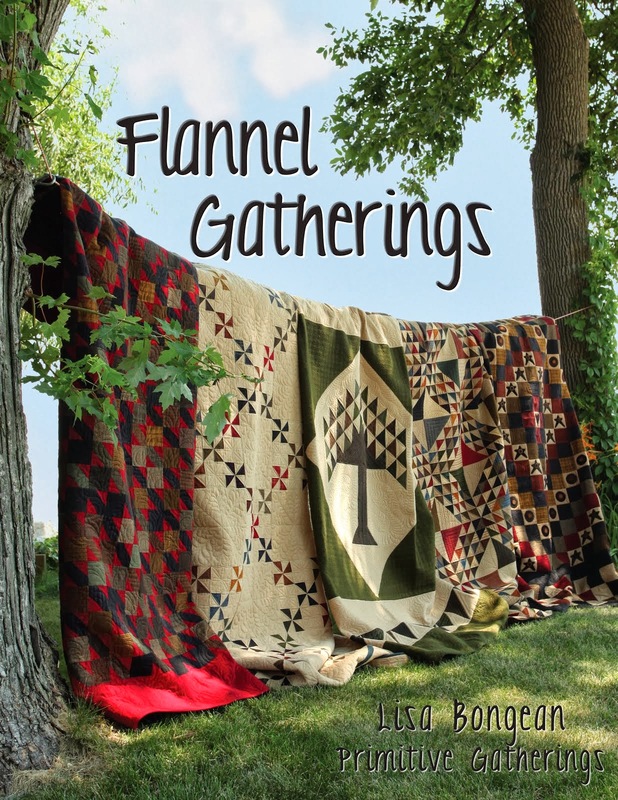 I can't wait to try some designs on my quilts. I got some books from the library, so I can have designs to try. 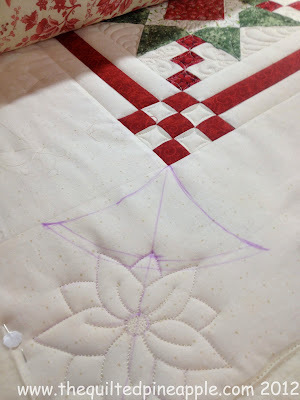 I am not so exacting, I just trace it on with a rolling chalk pen and then make a mess, lol. Thank you for posting such a great tute, I love visiting your blog as your quilts are so beautiful! Nice of you to share your technique. You make it sound easy but I'm sure it is not, especially the first time. But you have become so accomplished since you got your long arm machine. 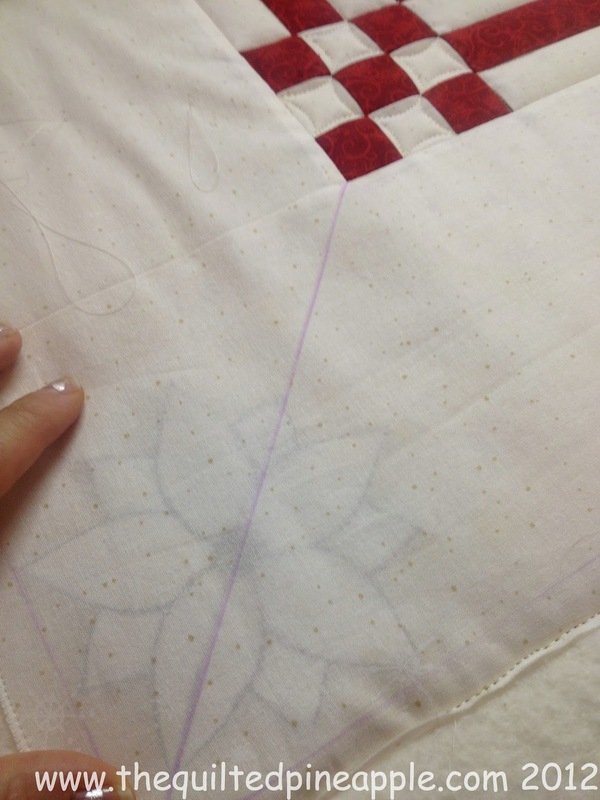 I love seeing how you do your quilting. Thanks so much sharing with us. 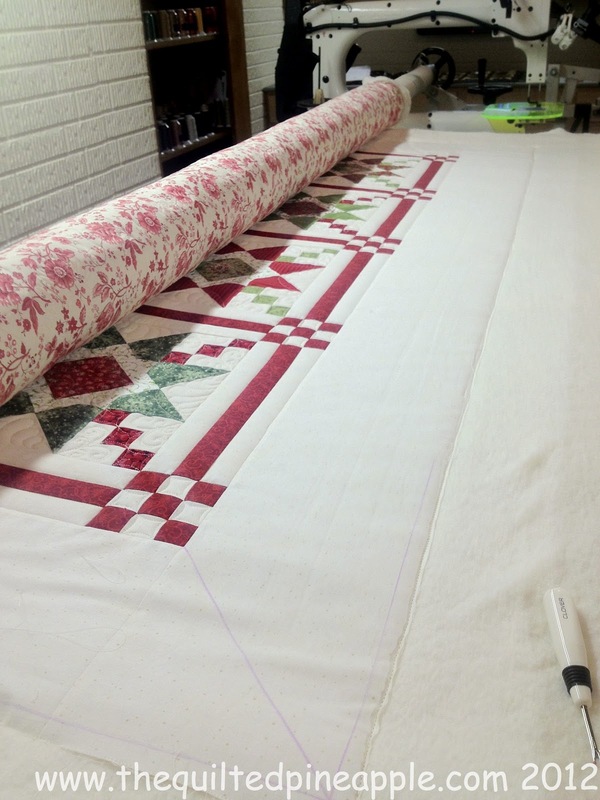 It is so helpful to me because I do have a longarm, but just quilt for myself. Thanks again for be being so willing to share! Great tutorial. Thanks a lot for showing the process. It's really helpful to me! Thank you for sharing your tutorial! 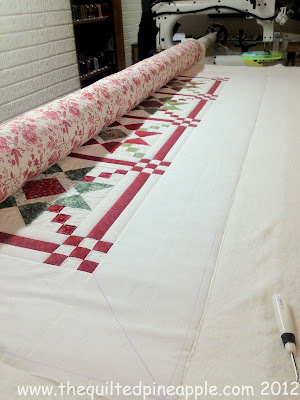 I have a christmas quilt that I just might try this on. Thank you for the tip about sliding the pattern under the fabric when it is already loaded. I never thought of that. 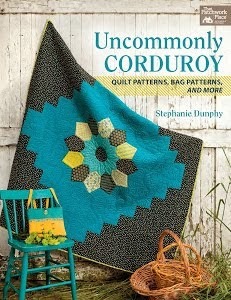 Also congrats on having the green quilt highlighted on the show. I can only imagine how thrilled you must have been. Thank you so much for taking the time to create this tutorial for us. You have so many invaluable tips in here. I'm still laughing at the image of making your daughter hold a flashlight up from beneath - but what a great solution. Thank you so much. 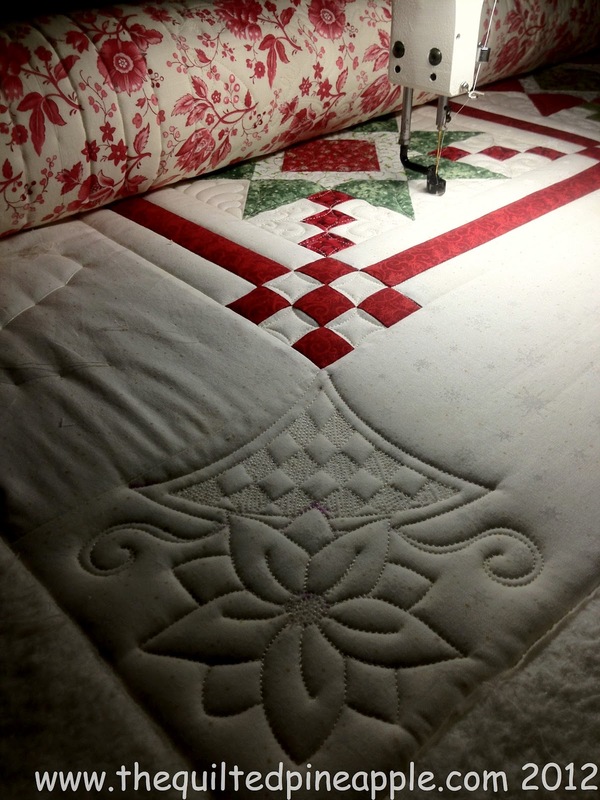 What a beautiful quilting job!! I have to admit, from the moment I first say this design in your photos I was studying it so carefully and trying to figure out your methods. So what a lovely surprise to see you actually did a tutorial for us all. Thank you for sharing! 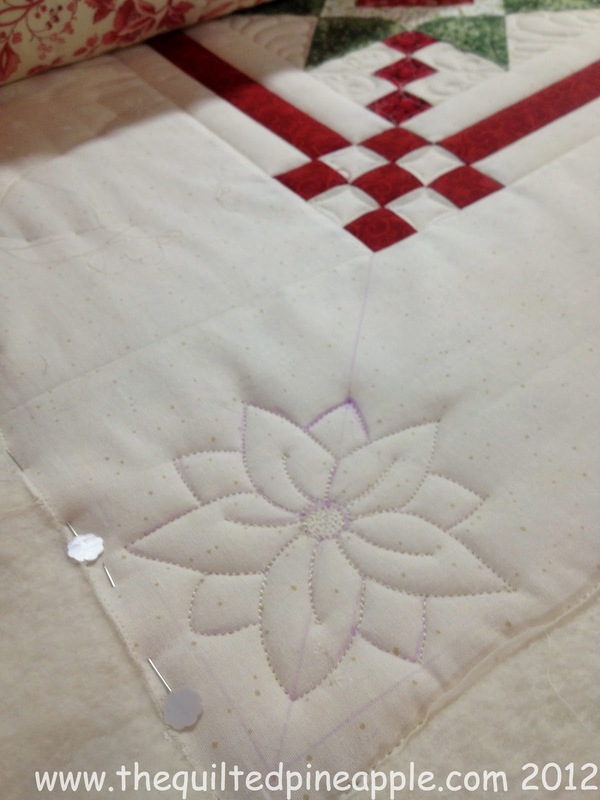 I watched Mary Fons program and loved seeing your quilt on display and then they talked about the quilting as well. Kudos to you! Thank you so much for sharing your methods. 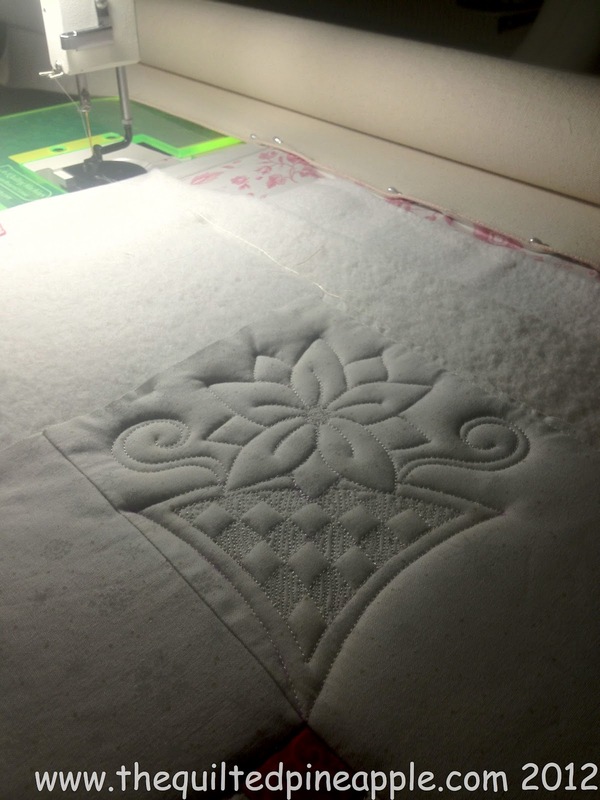 I am a newbie and get so much out of seeing how this beautiful quilting is actually done. 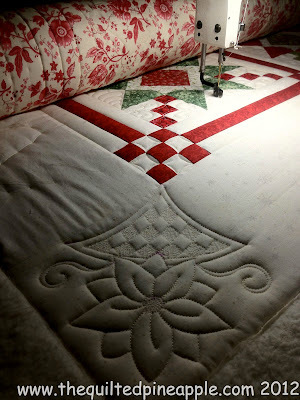 And I really love this quilt! 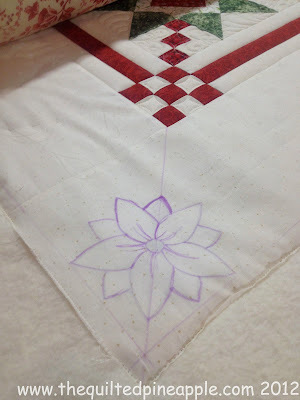 Love this design as well as the quilt. 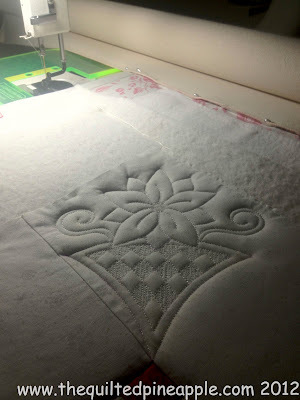 I am just starting to machine quilt using "shortarm"version. Wish I was fortunate enough to own a long arm. Absolutely beautiful. Great tutorial. Love the idea of the template under the top and tracing, brilliant!